Listening back to their recording, the players heard it as “a series of homages” to great artists who had profoundly influenced them, artists who had recently passed away. “Luminous Brew” is dedicated to Cecil Taylor, the pianist whose music, in its intensity, polyrhythmic complexity and sound organization, remains a vital reference for a generation of musicians. 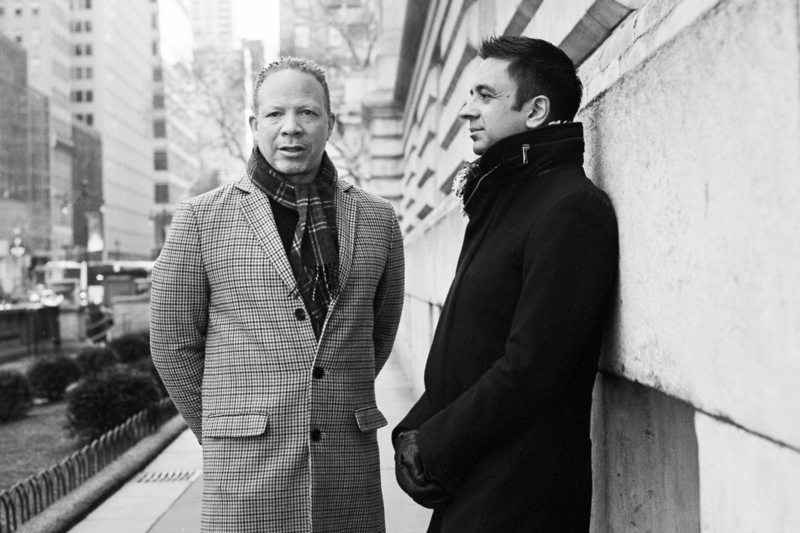 The Iyer/Taborn album title derives from a Taylor interview, in which humanity and its endeavors are considered ‘transitory poems’, unfolding against a backdrop of the mountains that are here to stay. “Clear Monolith” is for Muhal Richard Abrams, the visionary pianist, composer and improviser, who lit the paths of the early AACM and opened unexplored routes for the music. The painter and sculptor Jack Whitten, dedicatee of “Sensorium”, described himself – in his log Notes from the Woodshed – as “a quantum expressionist”. Whitten derived much inspiration for his work from jazz, and spoke of translating Coltrane’s sheets of sound into sheets of light. The New York Times has suggested that “there’s probably no frame wide enough to encompass the creative output of Vijay Iyer.” Each of his ECM releases has highlighted another aspect of wide-ranging work. 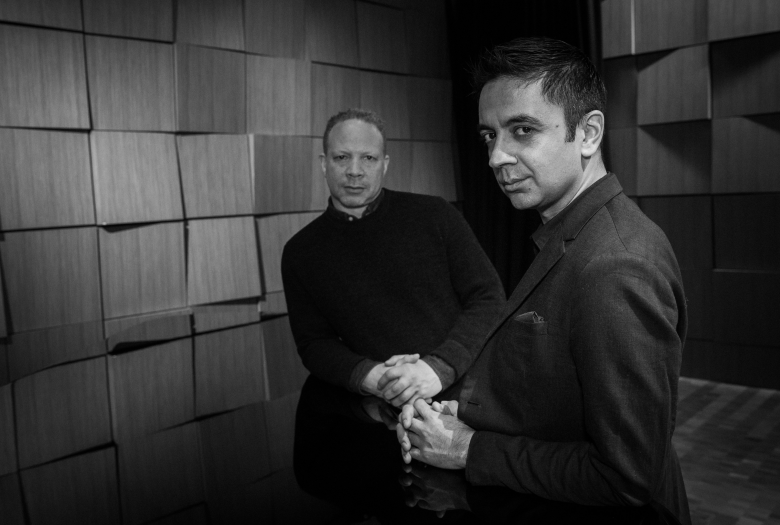 Mutations, with Iyer’s compositions for piano, string quartet and electronics was recorded in 2013 and described by The Guardian as “thoughtful, typically original and very exciting.” It was followed by Radhe Radhe, Rites of Holi a collaboration with director Prashant Bhargava, which DownBeat called “his most challenging and impressive work, the scintillating score to a compelling film.” Break Stuff featured Iyer’s popular trio with Stephan Crump and Marcus Gilmore (“a smashing success” – JazzTimes). A cosmic rhythm with each stroke brought Iyer together with his “hero, friend and teacher” Wadada Leo Smith to play “unique music outside all the categories” (Die Weltwoche), inspired by the art of Nasreen Mohamedi. Far From Over, with the Vijay Iyer Sextet, with Graham Haynes, Steve Lehman, Mark Shim, Stephan Crump and Tyshawn Sorey, was showered with accolades. “If you’re looking for the shape of jazz to come, here it is”, wrote Rolling Stone. Far From Over was voted #1 album in the NPR Critics Poll, with the Iyer Sextet also the band of the year and Vijay musician of the year in the DownBeat Critics Poll 2018. 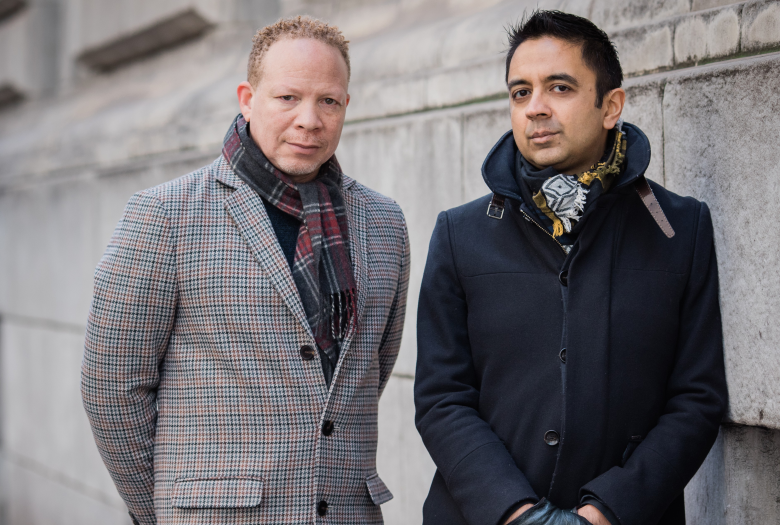 Vijay Iyer and Craig Taborn first recorded together on Roscoe Mitchell’s Song for My Sister (Pi) in 2002, with their first shared ECM credit being the Mitchell album Far Side (2007), recently reprised in the box set The Art Ensemble of Chicago and Associated Ensembles. Taborn’s ECM debut was also with Roscoe, on 1997’s Nine to Get Ready. Craig appears furthermore on two albums with the Mitchell and Evan Parker-led Transatlantic Art Ensemble – Composition/Improvisation Nos. 1, 2 & 3 and Boustrophedon – as well as with Mitchell’s assembled trios on Bells for the South Side. Other Taborn appearances on ECM include Michael Formanek’s The Rub and Spare Change and Small Places, Chris Potter’s Imaginary Cities and The Sirens, Ches Smith’s The Bell and David Torn’s Prezens.